Today (and probably half of this week) I will be recuperating from having been on vacation. Being away is supposed to rejuvenate you, but I find that I have just come home overtired, and with, as usual, too much to do. The family went to Hershey, PA - did the chocolate eating, roller-coaster riding thing for a week. While there, I did get to attend the Quilt Odyssey show, which I had 2 winning quilts in. I will save that post for another day this week though. It's a fabulous show considering how small it really is. We drove 9-10 hours home Saturday so that my boys could start a baseball camp yesterday, and I could go retrieve quilts that I had at the Maine Quilt show. This show was visibly smaller this year. I counted only 59 judged quilts, which is a good 30 less than the past few years. They cap the judged entries at 100, so this is WAY off of what it has been. Each year I hear rumors that this show is in jeopardy of not happening the next year. I actually believe that now. I had 2 quilts of my own in the show, and it turns out that I had 3 clients that had quilts in the show too. All of them did wonderfully. Here's Wendy's gorgeous blue and white quilt. For more pics, go here. She got a great blue ribbon, plus a judge's choice from one of the NQA judges. This quilt nearly didnt get into the show on account of the shows completely ridiculous rules requiring written approval from a pattern designer. Yes, she used a purchased pattern for a seemingly simple 9-patch Irish chain, which is a well known, traditional pattern. No, the pattern was not necessary. I think a monkey could create this type pattern on its own. BUT Wendy was too honest when she first sent in the application, and then the show coordinator made her get the written approval. But the designer had gone nearly AWOL, and never responded to emails. Wendy sent in another application stating that this is a reproduced traditional pattern at the same time I attempted to contact the designer. It's not that I carry any more clout than she does, but I can be more direct and blunt. She needs this, please provide it. NOW! Approval arrived via email the next day. Phew. It is far prettier in person than my bad-light photo shows, so have a look at the link. Here's another blue ribbon-winning quilt that I quilted. Sharleen brought me this last summer. I really hate when a client brings you a top and says she wants quilting that will win, and not a 3rd place ribbon like her last quilter. Seriously, folks, I am not the only variable in this equation. 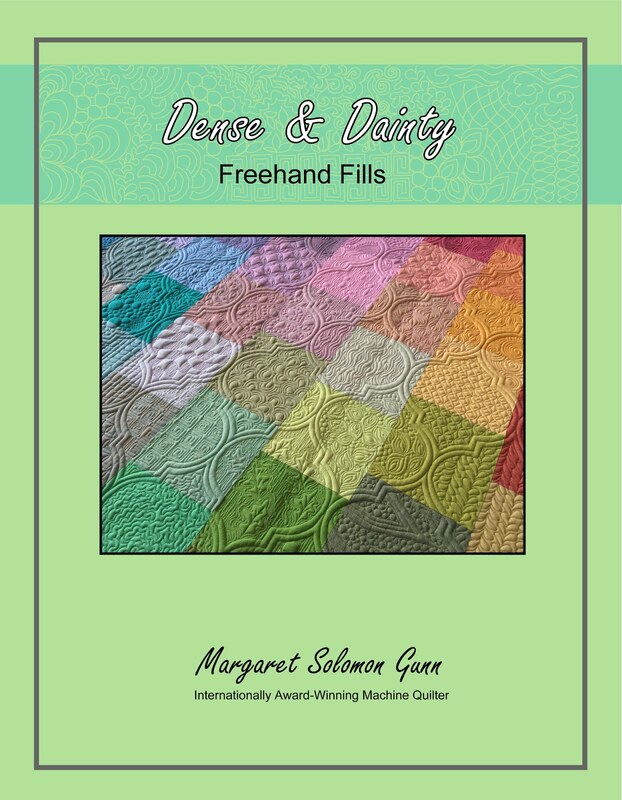 Your piecing, and binding have a good deal to do with it in generic (aka non-machine quilting shows) shows. Furthermore, how well a quilt does ought to have something to do with it's originality too, but not always, and certainly not at Maine. This is a pattern that unless you live in a Siberian cave, you have seen many times. Judy Neimeyer patterns are prolific. 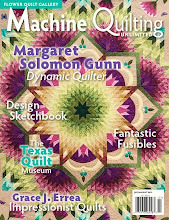 Many quilters love to make them. They look complicated (heck, many really are!). And I have quilted quite a few of them myself. This one is the Amazon Star. I absolutely loathe quilting this particular pattern because ditch stitching those long outer triangles is a chore, even on a 24" machine. 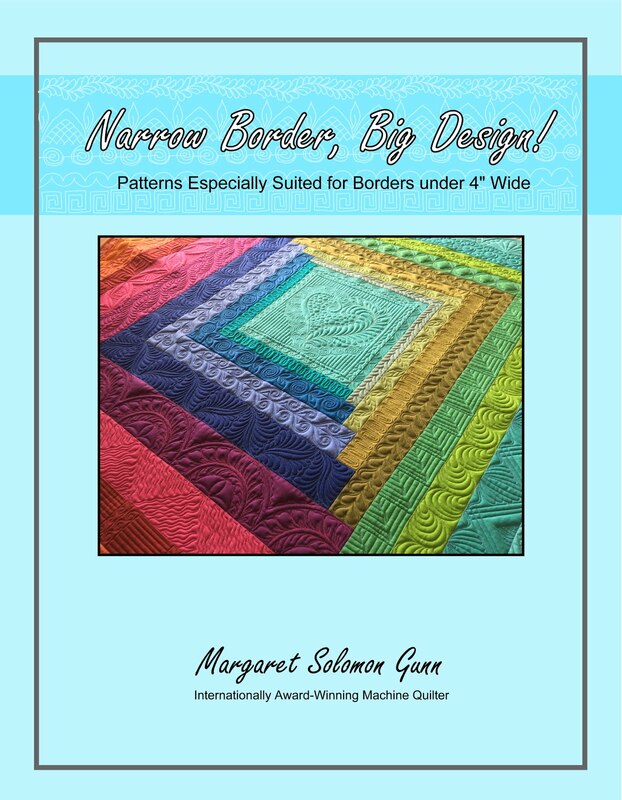 The pattern was clearly not designed by someone that longarm quilts and knows the limitations of quilting (machine hates to go 2' to the left, and some triangles are SO long that they can barely be stitched w/o moving the sandwich. So, as a result of doing two of the Amazon Stars, and cursing considerably, I no longer accept this quilt. I am much happier with some simple boundaries :-) Anyhow, the quilt did earn a blue ribbon. On top of that, it took home the viewer's choice yesterday. I am happy that I contributed to a client doing well. Many people commented to me that it was the quilting that won the awards, which is reassuring. But, it's a bitter pill when the client is there and doesn't have the dignity to say a word to me. This quilt also ribboned at MidAtlantic, and she didn't mention it then either. I know that they aren't under obligation, but seriously, it was a team effort. She didn't win it on her own. This is Sue's wall hanging, which I quilted about a year and a half ago. It's just darling; I loved it before I quilted it. Here are pictures... She was timid about doing the binding, so it didn't go into last year's show. So glad to see it this year. It has some small piecing issues, but is so lovely finished. My 2 quilts that were in the show both earned exceptional merit. I have always loved this quilt. It is relatively simple piecing compared to what some of the show quilters do, but the colors sing to me. 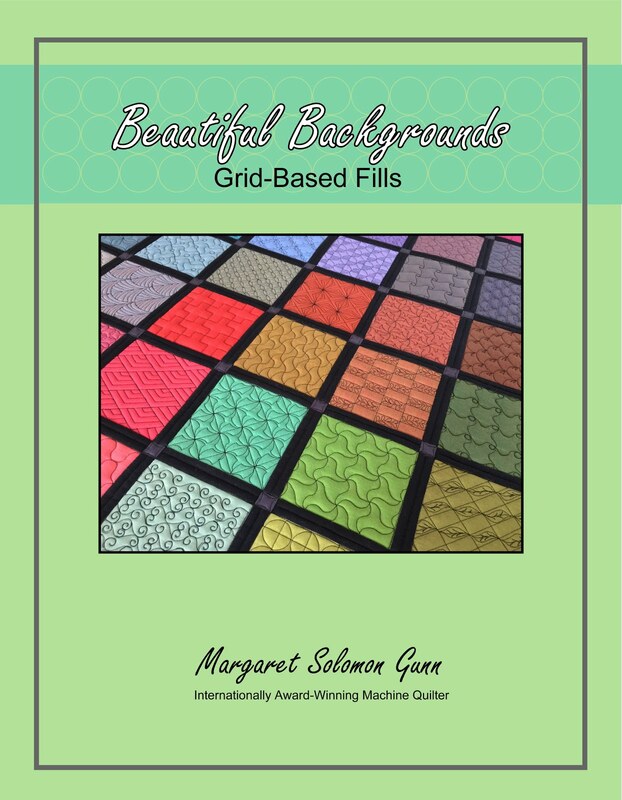 The piecing is all large enough that quilting designs can be developed on it. Sometimes pieces are so small that there's not much you can do on it. Not here. This is one of two exceptional merit ribbons at the show, so I am happy. Two and a half years after making it, it still hangs well too. Here's my Springtime in the Geisha's Garden, Best of Judged. I am constantly amazed at the people that look at something with dense, intricate quilting and automatically assume it is computerized. I can't count the number of ladies I expained that it was NOT computerized to yesterday. "But how do you get it so small? ", it must be. Sigh... I don't know a whole helluva lot about computerized systems but I have to believe it would be a complete pain to program it to stitch around all of my appliques! It's now at home resting, awaiting its trip to Houston next week!! Official word came in today that two of my 2014 quilts were accepted into this year's IQA show this fall!! I'm always surprised, because this is Houston. Nobody really knows what will happen at Houston. Last year's quilt got in to my delight and then received the harshest scrutiny of it's short life (despite having enormous winnings at all other shows). So, I entered these two rather half-heartedly, still feeling somewhat jaded from last year's experience. 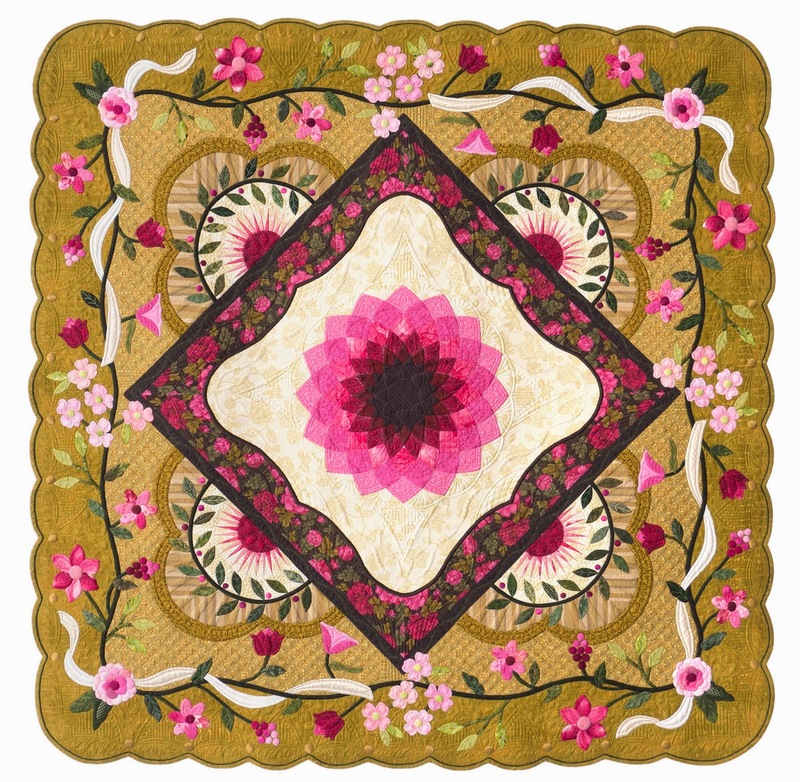 "Springtime in the Geisha's Garden" is one of my very favorite quilts. It holds special memories because I bought many of the fabrics on my first trip to Paducah. It is largely made by hand, and quilted beautifully. But then, so are most of the quilts that get into Houston. This one is in the mixed category -- it will be up against others that are pieced and appliqued and/or painted AND quilted to the hilt. My other quilt "Autumn's Surrender" is simpler at first blush, but hopefully that will not be it's downfall. It is silk, and is quilted with everything out there to see -- even from the plain, solid backside I gave it. It is beautiful too, in a different way. 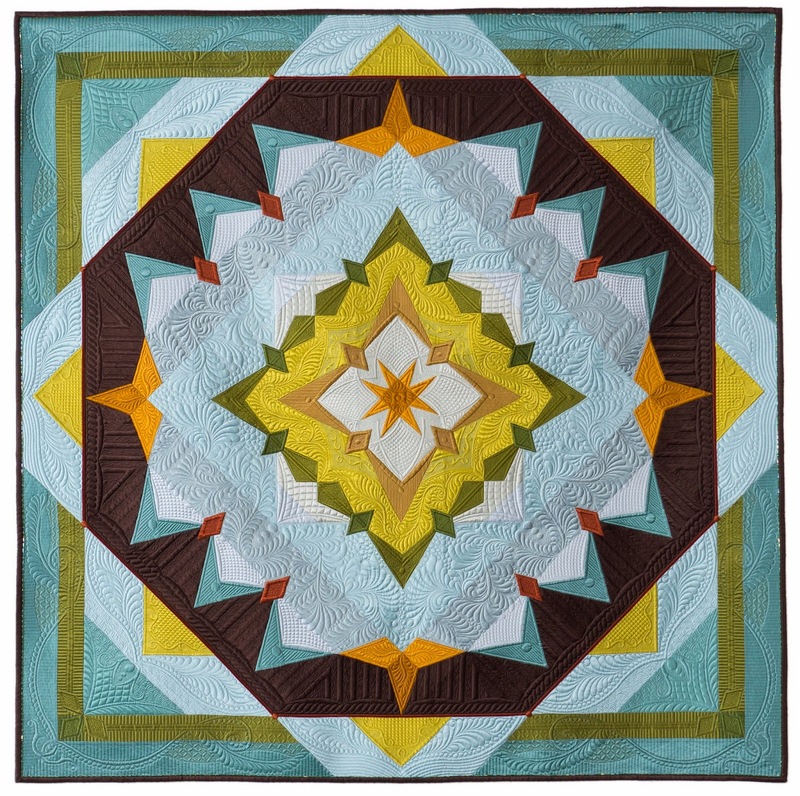 It is in the Merit Machine Quilting category, as this quilt is all about the quilting. Hope this was a good decision! 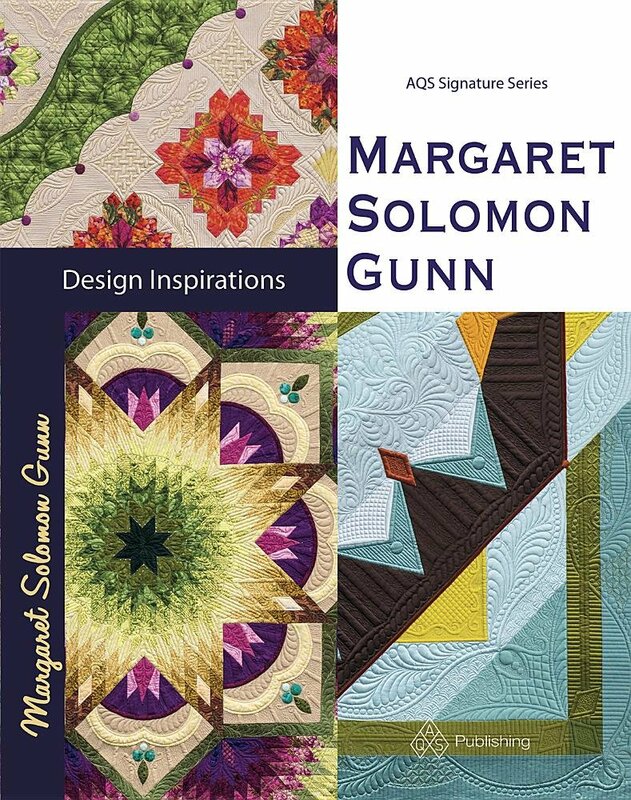 This coming week, it is in Pennsylvania at the Quilt Odyssey show. I don't know yet if I will make the trip to Houston. I really want to, probably more than last year. The dang hotels are SO expensive, to the tune of $250-300 per night. The likelihood that I'd win anything to cover the trip is slim. I have even another quilt that I quilted that is part of an exhibit of the show -- one of the late Frances Benton's applique quilts, an exhibit I'd love to get to see. So, I need to figure things out and make a decision pretty soon. Airfares only go up and hotels do sell out. If I wait until the week of September 9th, when judging results are announced, there may not be much available. Hard choices! Good news anyhow. Sitting here at what is pretty close to the middle of summer, it is almost unbelievable hard to fathom how hard it is to be productive. It is partly having someone else constantly needing or wanting something. Partly it is the nice warm weather. I have vacation eyes on right now, as we have a trip to Hershey, PA coming up soon. I have been pushing through the smaller custom quilts, at an albeit slower than usual pace, but they are getting done. I have also been doing some other things. I have a quilt being pieced, a little each week. Thank goodness it isn't complicated piecing! Here's a couple client quilts I finished within the last week or two. I double batted it to show off the relief, and used a nice SoFine thread. This one will be making it's journey home come Monday. It is 60" or so. I definitely do love a good traditional quilt now and then. Figuring out what to quilt just comes naturally. This has a wool batt too (single), and is stitched with ivory, red and green Glide threads. I have recently done an article about sashings (set to be published in a few months), so this quilt let me put some of the things I had thought about to good use. These sashings are wider, and I wanted them to show. The feathered circles in the corners tie into the feathered circles I placed at the center of the flowers. Choose motifs and repeat, I keep telling myself as I quilt. This is how you bring continuity to a design. 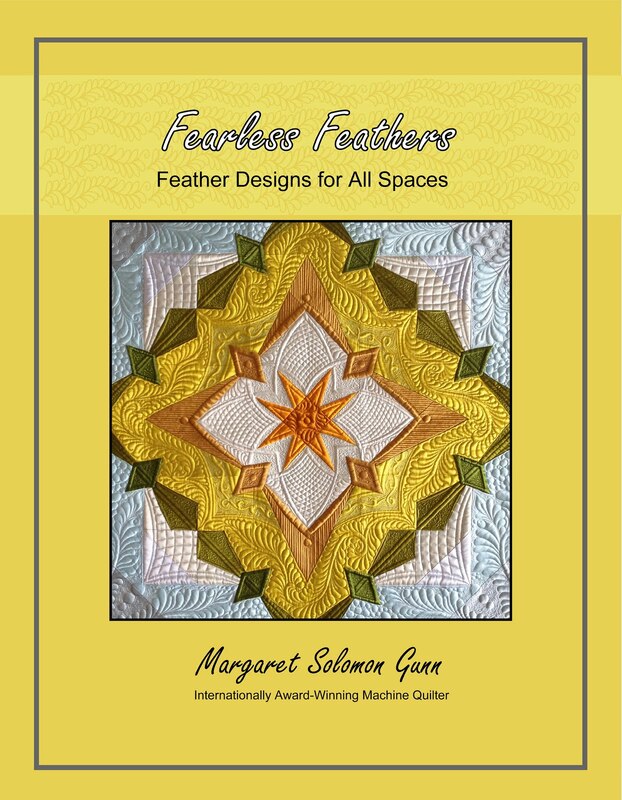 There are some other feathers on the ivory triangle border, but mostly it is pretty freehand quilting. Here's a peek at a few of the "other" things I have been doing... This is part of my daughter's quilt that she is making. All I have been allowed to do is the rotary cutting and the ironing. These are 8 of her 9 blocks (the center one has a piece of custom fabric designed and being printed by Spoonflower. It has a 3" border, and will finish about 64" square. Here's a staged layout of my next larger quilt, mostly silk. These are the hand-pieced elongated hexagons that I started last October. I had silk hand-dyed to match the blocks, and I am hand appliqueing the ribbon applique now. I have just about half of it left to stitch. It's on the larger size, a hair over 80", so the quilting will be quite time-consuming. I haven't done one close to this large in nearly 2 yrs. I have been also busily scribbling out quilting designs for a smaller (40") silk quilt. That one may get started next month, as it will be faster. You'll have to wait to see that though. Now that kids are out of school, I am working on whatever I can, whenever I can. My only stipulation is that if I do custom quilts, they are on the smaller size. No queen and king full customs before late August. This one is for one of my many California clients. She wants to put it into a show in August, so I did my best to get the quilting done in time for her. It should be arriving home today. This is Kathy McNeill's Audubon Christmas pattern, which she made and showed on the circuit. It is now available as a pattern from AQS. It is a rather aggressive applique pattern, but this client does lovely applique. It is right in line with much of the work she has sent me for quilting. 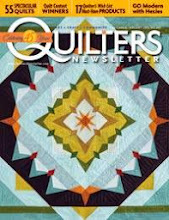 A few months back she sent me the Baltimore Autumn applique quilt, which was drop-dead lovely. This quilt may have been a kit -- I only wonder because the fabrics are wonderfully chosen for each applique. They make the birds very lifelike. I quilted it similarly to the photos that are included with the pattern. I might not typically do this much stippling, but it does help pop the detail stitching and appliques. Some of the areas where Kathy did detail stitching in colored thread, this client chose to do with embroidery. This made my job a little simpler. All I needed to do was some outline stitching. The appliques are all ditched in a monofilament, while the majority of the quilting is done with white Glide thread. The white fabric is Fairy Frost, which has a natural shimmer like snow. The quilt has one layer of wool batting. I urge any and all quilters that make applique quilts to consider using wool. The difference of this over cotton is oh-so evident. I think the cardinals are my favorite block. There are some ghost leaves and feathers on this block. The birds are really pretty.